Scrap with Stacy: Twice the Fun! Let's Scrap has teamed up with Feeling Sketchy this month for a fun two part challenge. Let's Scrap's part of the challenge was to make something using some or all of a yummy double page layout sketch by Michelle Van Wick. And Feeling Sketchy has a fun card sketch. So I have done both of them. Be sure to stop back by today because I am going to be uploading more projects that I have made. Thanks for stopping and looking! Until next time...happy scrapping! Hey Stacy, there's that beautiful photo again of your girl ! Love that you scrapped it and it turned out wonderful ! Thanks for playing with us at Let's Scrap ! Great colors for the layout and love how you flipped the sketch. Everything makes the pictures really 'sparkle" which goes with your adorable title. 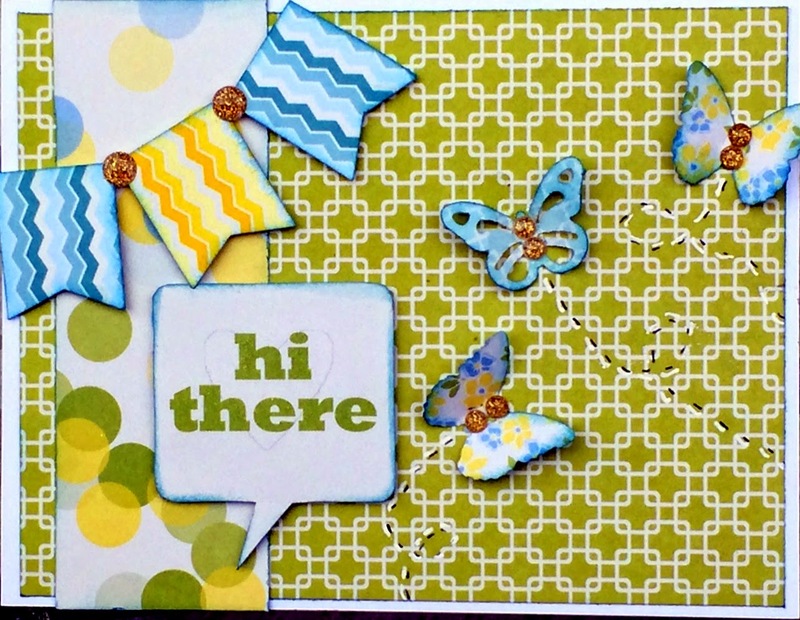 Thanks for creating with us for the Let's Scrap Special Challenge. Gorgeous smile! Love this beautiful work, Stacy! Thanks for playing along at the sites! Love both the layout and the card! You blog is so sunny and fun too! Thank you for sharing with us at Let's Scrap Sketches! Very nice projects ! Thank you for playing at Feeling Sketchy !